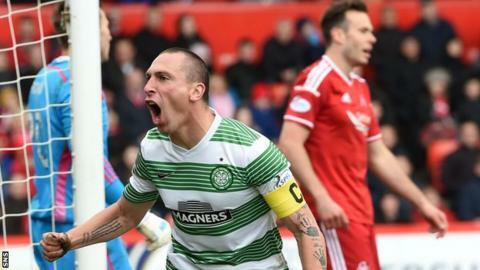 The Scottish Professional Football League has agreed a deal to show live Scottish football on mainstream television in China for the first time. Thought to be worth about £500,000 a year for three years, the deal is with Letv Sports, China's leading digital broadcast platform for sports. It will make 55 Premiership matches available across TV, online and mobile. SPFL chief executive Neil Doncaster said: "It's a fantastic deal for Scottish football." The deal forms part of a wider, 10-year international rights agreement worth about £20m struck in 2013 between the SPFL and MP & Silva, which sells rights to the region for the benefit of all 42 SPFL member clubs over that period. With the 55 games per season, there are rights to broadcast Scottish League Cup and Petrofac Training Cup matches live. Doncaster said the new arrangement, revealed to member clubs at a board meeting at Hampden, "further demonstrates the international interest in our national sport". "Clearly, this is a massive market and gives our member clubs a great opportunity to sell themselves to the world's fastest growing economy," he said. "Scottish football has an unrivalled history and so many positive stories to tell and we very much look forward to working with Letv Sports and MP & Silva to do just that in the three seasons ahead." Games will be streamed live across all forms of China's traditional TV channel, IPTV, and all its online and mobile services. Letv Sports is billed as China's fastest growing sports media platform following the recent acquisition of major sports properties to expand its portfolio of content and having amassed more than 120 sports media rights in 17 categories such as football, basketball, motor sports, cycling, equestrian, marathon and combat sports. Chief executive Lei Zhenjian said: "It is a great addition to our expanding line-up of premium sports content. "Football's popularity is rising in China and Letv Sports is committed to acquire as many of the world's top sports properties as possible to serve our sports fans in China." Meanwhile, the SPFL board remains unchanged following a vote from member clubs. Hearts owner Ann Budge and Kilmarnock chairman Jim Mann had put themselves forward but failed to dislodge the three Premiership representatives.